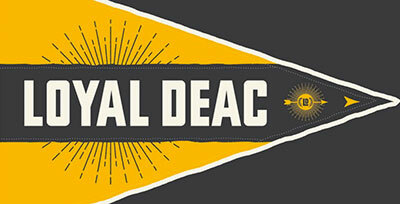 Today’s Daily Deac is a trifecta of upcoming events. Mark your calendars, Deac families. 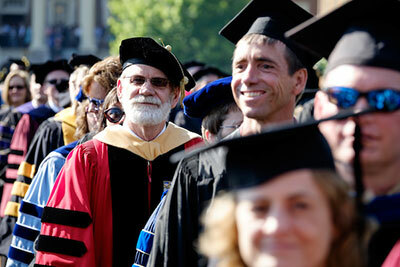 Tomorrow (July 15) is when Family Weekend registration goes live. It’s advertised on the Family Weekend website as registration opening at 10 am (Eastern), so set your timers on your calendar or phone and order your tickets tomorrow. Events can and do sell out, so register sooner rather than later if you want to have your choice of events and options. As I hope you know already, Family Weekend will be held October 2-4. Mark your calendars and make your travel and hotel arrangements if you haven’t already. Note that the football game time will not be set until 10 days before due to television scheduling. Game times can range from noon until the evening and everywhere in between. 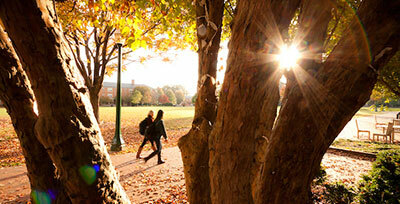 Family Weekend is a world-class weekend with tons of great activities. Please do come! So that is an event announcement for all parents and families. This one is just for parents of incoming first-year students. This year, our new students have the opportunity to take part in something called Project Wake: Exploring Difference, Embracing Diversity. Sign ups are due by July 17th. Project Wake is an optional program, and one I highly recommend. It functions similar to a book club in that students will choose one of 25 possible books to read, they read the book this summer and then at a specified time during Orientation, their reading group comes together to discuss the book. This is a wonderful way for your students to begin the process of engaging in intellectual dialogue. 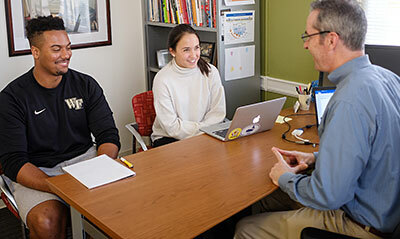 They will meet other students in a small group setting (helping to build their social network) and they will also have the benefit of connecting with the faculty or staff member who is leading the discussion. It’s always a good thing to be able to have an adult in your corner when you are starting out in college – someone who knows you, who you could go to for advice and counsel if needed, etc. The books are very interesting too. You might have read some of them in your own book clubs at home (my book club had read The Immortal Life of Henrietta Lacks – for me a game-changer in understanding a part of our racial and medical ethics history I had not previously known). I can also highly recommend Quiet by Susan Cain, which is about introverts (I am one) living in an extrovert ideal. I read this in my 40s and wish I had read it in my 20s so I could be a little more comfortable in my skin when I was your students’ age. So if you are a parent or family member of an incoming first-year, do encourage them to join a Project Wake group. Yesterday the Office of Academic Advising had sent out information about Project Wake to students. This idea of engaging in reading groups and discussions (outside of class activities) is an example of ways our students can exercise their intellectual wellbeing. Intellectual wellbeing is one of the eight dimensions of wellbeing we are focusing on in Thrive, our ongoing efforts to promote holistic wellbeing on campus. We’re going to have a Thrive event on the first day of classes (see below). I was at a meeting the other day with our intellectual wellbeing team to talk about possible activities our group might do for the Thrive event. All the Thrive teams are working on some fun activities, food, and displays to showcase how students can attend to the eight dimensions of wellbeing. Whether your Deac is a new freshman or a senior, you’ll want to tell them to go to the Thrive event on August 25th for sure. More details on that closer to the time. Three events worth participating in – for you and/or for your Deacs.